The Element Strategy Initiative: To Form Core Research Centers, which was launched in October 2012 and will continue for an expected period of 10 years, has an unprecedented program design in which a center for research will be created through the integration of materials research, i.e.synthsis, measurement and analysis. In the past five years since activities began, the social environment surrounding materials science research has changed dramatically due to the spread of “big data” use, the application of AI technologies, the shift to electric automobiles and so on. 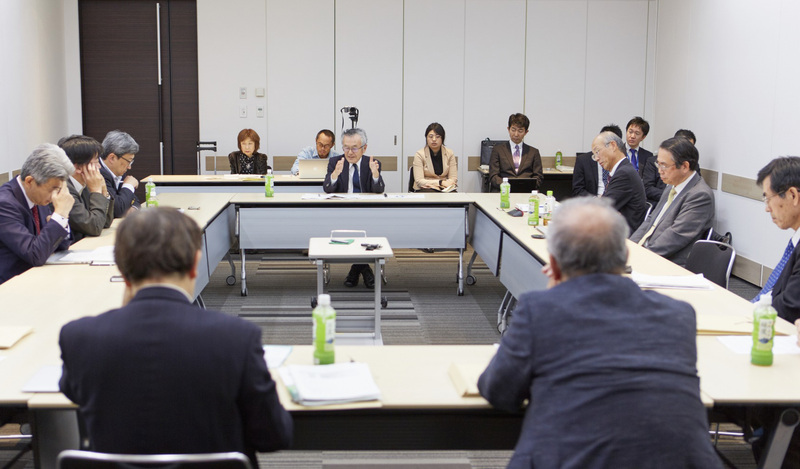 In view of such change, a roundtable discussion was held to review the activities undertaken in the Element Strategy Initiative and discuss what strategies for the exploration of new scientific findings and their possible contribution to society should be devised for the second half of the project period, and how materials research by means of an integrated industry-government-academic partnership should be continued as a national strategy. The roundtable discussion was held through the voluntary cooperation of the members of the Program Committee for the 3rd Element Strategy Initiative Symposium on Element Strategy Initiative and Public Utilization of the Specific Advanced Large Research Facilities that will take place in February 2018. ─Progress in multidisciplinary integration and shift of research focus from model systems to reality. Fukuyama (moderator): Let’s begin by briefly summarizing what the Element Strategy Initiative: To Form Core Research Centers has accomplished in the past five years, and the significance of those accomplishments. Kawai : Before I do that, I’d like to say that I think the term “Element Strategy” was a good choice. We gave the name “Element Strategy” to the major current of research that approaches the science of creating materials from the standpoint not only of properties but of functions as well, in order to create things that will be useful to humanity. It became a research movement that everyone can get on board with. Takao : I’ve conducted research into optical disks. It’s possible to create things even without scientific theories. However, if you want to do so reliably, you need scientific theories — physics and chemistry. I think that essentially this is what Element Strategy should be. Ushioda : The properties of structural steel can be improved by adding various elements. So it goes without saying that you need to gain an understanding of the functions of elements. Elements Strategy Initiative for Structural Materials(ESISM) has pursued research into the more fundamental concepts of deformation and fracture and how they occur — in other words, the approach of producing properties through skillful control of the composition without relying on the elements. It was really interesting. Also, the expectation in the field of structural materials is that it will take a particularly long time to ensure the results of research are employed to contribute to society. Sugiyama : Considerable achievements have been produced from research into improving the properties of magnets in which rare earths played a key role, and this research was the starting point for the Element Strategy. In contrast, there doesn’t seem to have been much progress yet in the search for new materials. I think this field will develop from this point on. Tsuneyuki : Up to now, physics researchers have pursued research into universal topics and have avoided materials. But there are truly important scientific principles in these materials, and we’ve come to realize that materials are really interesting. I think this is what has succeeded in attracting many theorists to materials research. Amemiya : Measurement technologies using quantum beams have progressed from model systems to real-life systems. We have also used nanobeams to view inhomogeneous systems and converted nanobeams into coherent beams to view non-crystalline objects. I think this is becoming an important key to the linkage of scientific theories to the return of achievements to society. Fukuyama : So changes are occurring that are being acknowledged to a high degree both in industries and in academia, and in-depth exploration of the material science is underway. Takanashi : There is great significance in the fact that multidisciplinary integration has progressed in some sense. Previously physics researchers seemed to have little interest in the unrefined aspects of materials research, but as a result of this project, They have learned about the coercive force of magnets and have become very interested in material strength, material failure and so on. Hosono : I’m on the front lines of materials research, but I don’t think there have been any clear unique achievements from this project yet. We’re still at the stage of adding 1 + 1, and we’ve just managed to form teams and establish a foundation. On the other hand, among young people there has been significant progress in multidisciplinary integration. Fukuyama : Large-scale X-ray neutron and supercomputer research facilities have greatly contributed to the research center’s activities. This small country has such powerful facilities in spite of financial difficulties, and I’ve been amazed at how they are in action with centers. The role and strengths of the large-scale facilities have been widely recognized, but it’s my impression that there are still ways to improve. Is that the way the rest of you see it? Ushioda : In the field of structural materials, we use J-PARC and SPring-8 very often. Along with supercomputers, we see these as crucial facilities, and they’re becoming a major current in research. 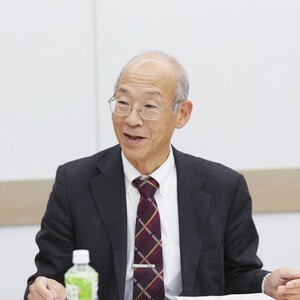 Hayashi : I think more use should be made of neutron measurement technologies in the formation of nano-precipitates that increase the strength of steel, and that this would lead to achievements. However, developing materials with new functions will require not just measurement technologies; they should form a three-legged stool along with experimentation technologies and analysis technologies. 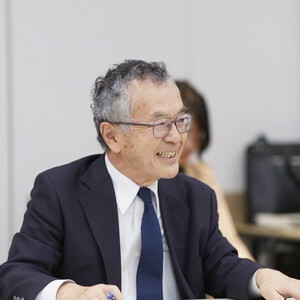 Setoyama : From a company perspective, we can’t do the kind of analysis at a company that we can do at a large facility, so we have to use large equipment to do in-depth explorations of scientific theories. There’s already a desire to use this kind of equipment. Fukuyama : Dr. Hosono’s center is studying various kinds of materials. I understand that you’re using X-ray and neutrons. Is that correct? Hosono : Yes. We’re making a lot of use of them to study a variety of topics. But unfortunately we’ve had almost no machine time for neurons due to a facility breakdown and, once that was repaired, to an equipment shutdown for power-related reasons. So there have been quite a few periods when we wanted to use the equipment but were unable to do so. Thinking that all you need to do is use Large-scale Research Facilities is very dangerous. Unless you use them by having a firm research concept and provide the results as feedback to create an upward spiral, the cost effectiveness of using the equipment will be poor and it won’t pay for itself once you take depreciation into account. The main issues are securing operation time at the Large-scale Research Facility (by both the facility and the government) and a commensurate method of use (users). Takao : It has been 20 years since SPring-8 went into operation. Initially we were able to write papers with the aim of developing the system and everything was new, and recently it’s become possible for everyone to use it. But that means that when someone produces interesting data, everyone wants to produce the same type of data, so a facility that was designed so it would have to change constantly has stopped doing so. Even under these circumstances, in the Element Strategy Initiative we developed a new soft X-ray microscope that can observe magnetic domains within a strong magnetic field. So rather than using existing equipment, we actually developed the equipment, and as a result we got a glimpse of some new science as well as new applications. However, building equipment costs hundreds of millions of yen, so even in that sense I think the Element Strategy Initiative is effective. Fukuyama : So where are we now in terms of the Element Strategy? Hosono : There’s a reason that 10-year projects run for ten years. With a 5-year project, the project ends just as you’re starting to see results. The first five years is spent firming up the organization and doing various other things that take time. Ushioda : I think the principle on which the Element Strategy is based is a concept born in Japan that will lead the world. It is a fundamental concept that should be continued to contribute globally to and provide foundational support for a sustainable society. Hayashi : In the case of steel materials, it takes five years even to make slight improvements. It would definitely take ten years to create something new. Hosono : So the real work starts now. Fukuyama : And for that, the development of materials must lead continuously from scientific theories through application. What will be important in that effort? 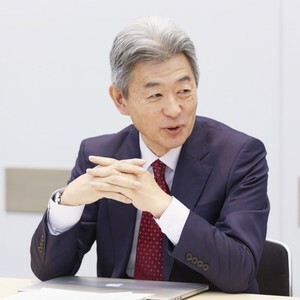 Sugiyama : From the standpoint of a company research institution, the research topics that are being brought up now are too close to the research that is conducted by companies. It’s my feeling that corporate and government research should not be done in parallel but rather that government projects should do a bit more cutting-edge research and companies should try to keep up with that. Setoyama : I think we need to separate the projects that require in-depth scientific research from those that can be turned into industrial applications. For example, out of 100 projects, unless we limit the focus of application development to several good quality ones and think of strategies for what comes next, everything will end up half-done. It’s crucial to create a process that leads from scientific theories though application. Takao : The current scientific principles relating to batteries haven’t actually changed since the days of Volta. There’s no model for understanding all batteries. Elements such as interfaces and electrolytes are being studied, but there’s still no way of seeing the battery as a system. I’d like academia to aim for that. If things don’t change, we’ll be overtaken by developing countries in the blink of an eye and the battery industry may cease to exist. I don’t think we can succeed in business unless we win the battle of scientific theories. Hosono : Japan’s international presence in the field of materials science has suddenly been reduced; we’re currently number five. We’re maintained our superiority in terms of industry, but if we keep on going as we are, we’ll be in quite a bit of danger in ten years. When you think of why Germany is now a science and technology powerhouse, it’s because of the invention of the Haber-Bosch process 100 years ago. They became unable to obtain a source of natural activated nitrogen from overseas, so they were forced to synthesize artificial ammonia in their own country, and they mobilized the nation and created a new science and technology. Takanashi : Japan also had an outstanding legacy bequeathed by Kotaro Honda: metallurgy. That provided the foundation for the explosive growth of metallic materials after the Second World War. Fukuyama : So it’s not something that could be created immediately responding to needs. You had to historical backbone going back ten, fifty, a hundred years plays important roles. Hosono : It’s my hope that even just one unique and truly useful material will be developed through this project. In many cases the concept comes later, so I think that first we should just go ahead and create useful materials. 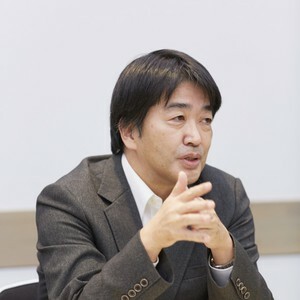 Hayashi : As the social environment changes, new products become necessary and are desired. In academia, you need people to improve on bedrock scientific theories. In engineering as well, you have to encompass both the science and the applications. And applications have to extend to both products and engineering. I think that without these things we won’t be able to make something truly great. Fukuyama : Creating seamless links among academia and industry is behind the system design of the Element Strategy Initiative. How to achieve this and what specific action is needed are the questions. Kawai : We’re approaching the stage at which we also have to think about applications. Up until a few years ago, for catalysts for example, we envisioned the application to be use for automobile exhaust. But the day may come soon in which that kind of thing won’t be provided in every single vehicle. If that happens, the need for development that is limited to things that have applications may disappear. Naturally there will be some for which an application must be envisioned, and these will be developed by companies. Academia will go back to basics, “creating things even if you don’t know what they will eventually become,” and conducting research that focuses on producing functions. Fukuyama : So having an awareness of the possible application is important, but there shouldn’t be too much focus on the application especially when the times are constantly changing fundamentals are most crucial. Fukuyama : We’ve raised various issues, and based on these I’d like to turn to what type of activities you think we should engage in from this point on. Materials science research will go on forever. For this reason, the Ministry of Education, Culture, Sports, Science and Technology views this project as the first spark, and its policy is that when its term is up you should continue development in new ways through your own activities. With a five-year project, in many cases the activities cease when the term is up. But this project has a term of ten years, so the Ministry would like you to create a mechanism in cooperation with industry. Takao : In materials science, the watchword is Phillip Anderson’s “more is different.” There’s diversity and the research is driven by the curiosity of the researcher. But this alone will not result in system creation, so we have to do the work of binding the “mores” together a bit. To do this, we need to create not big science such as locating gravitational waves but science and engineering projects that are in between big science and small science. And in reality the Element Strategy is becoming that type of project, and multidisciplinary integration is happening. There is a debate about how things should be bound together. Takao : I’m not sure exactly, but undoubtedly there are cases in which they are bound together from the science and in other cases they are bound together using applications. Right now the Ministry of Education, Culture, Sports, Science and Technology is doing all of the binding work, but this needs to be done from the side of academia. If that doesn’t happen, academia will collapse. That’s the feeling from the academic side. Fukuyama : Now we’re approaching the heart of the matter. It’s definitely true that the direction of research will be determined by how things are bound together. The Ministry of Education, Culture, Sports, Science and Technology invites people from academia to come and discuss issues at the Science Council and so on, but this is not apparent from the outside. Takao : Originally academic associations should have done that, but they don’t have those functions. Fukuyama : I’ve looked into what mechanisms exist to determine research promotion organizations in the United States, Great Britain, France and Germany. Each country has its own way of doing things, but they set up Science Boards and discuss things with government representatives. Setoyama : I read a book recently that said something that really struck me. The writer said that the value in innovation extends only as far as planning and R & D, and manufacturing is something that is added on. The point is that it’s essential to have an outstanding research plan and conduct rock-solid technical development — to make sure that you secure value in these areas. That will redound to Japan’s benefit regardless of whether it’s a Japanese company or an overseas company that’s creating it. For this process, it will be necessary for the national government to guarantee the value of the science and to create a mechanism that will ensure that it is recognized by the rest of the world. Hosono : That will be absolutely essential. In specific terms, guaranteeing innovation means the issue of patents. Right now there’s no project at the Ministry of Education, Culture, Sports, Science and Technology that can secure the cost of intellectual property. For example, a lot of money was paid to J-PARC to measure the interior of batteries and the results of the study were made public. That makes it the property of not only Japanese industry but the entire world, but specifically it’s nobody’s property. You can’t get funding for research that is universal worldwide and has no specific owner. Fukuyama : Is there a concrete proposal for accomplishing this? Hosono : One has actually started within CREST. People from companies are invited to join in the project and write down what intellectual property they need. The rights are split 50:50 and, if it becomes profitable, they can deduct research costs from the profits. So it’s designed to enable companies to get as much intellectual property at they can. Fukuyama : So you need someone who can write patent documents. The Ministry of Education, Culture, Sports, Science and Technology is working to make use of a research administrator (URA). Hayashi : Companies are conducting thorough patent training. So it would be efficient for them to hire retired employees as patent writers who can sum up the ideas of the researchers. But that’s not the only thing. Researchers who are able to write patent application documents needs to become the norm. We need to write at least two a year, so we’re scrambling to find what to do. As with academic papers, we need to create an environment in which people are naturally expected to be able to write these things. 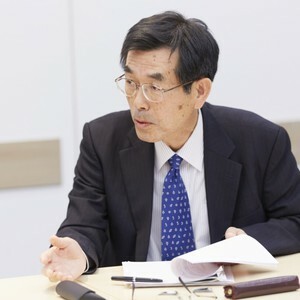 Setoyama : We’re also entering a time in which a patent mechanism alone won’t be sufficient. The science will be left behind unless we think of a strategy that encompasses business models as well. Takanashi : Companies are devising various strategies, but that’s not happening at universities. Universities need to set up departments that can devise strategies for collaboration with industry. Apart from that, universities are also facing a serious problem in that they may become unable to rely on the national government from a financial standpoint as well. An intellectual property strategy is also needed for them to take serious steps to earn money on their own. At the same time, I think we’re also at the stage at which universities will proactively set up places for open innovation. The question is how that will be viewed by company people. It’s natural for them to want to hide their research, but I wonder if there is any way for them to create a mechanism to make open innovation a bit more open? Setoyama : The best way is to keep on doing research. I don’t think there’s any other way than for them to continue to make mistakes and gain a right-up-to-the-edge sense that it’s OK to release information up to such-and-such a point. Fukuyama : So continuing to accumulate experience. Setoyama : Yes. That will result in a sense of infinite closeness that will get them to realize that unless they release information up to the first layer of the skin on their nose, they won’t be able to get the other party’s information. Takao : Building infrastructure is important as well. With things the way they are now, in which anyone is able to enter the laboratory, it won’t be possible to do research with company people. Fukuyama : I was impressed by Osaka University, which actually has an industry research building that has full security checks in each floor. Ushioda : I’d like to add one more point. In industry-government-academic collaboration, I think there’s only a future if there’s cooperation between the end user of the material and the supplier of the material. Material suppliers like me are thoroughly disciplined by users. I think the same could be said for collaboration with academia or industry. Hosono : Finally, there’s one more thing that I’m concerned about. Japan is said to be strong in the area of materials, but simulations have been run about what things will be like in ten or twenty years. The Japan Institute of Metals and Materials and The Ceramic Society of Japan and other organizations have found that the number of full-time employees in the area of materials will be reduced to half or fewer, and the Japan Society of Applied Physics also found that they would be reduced by about a third. The Physical Society of Japan has a lot of supporters, so its membership wouldn’t decrease by much. Fukuyama : Do you mean these organizations wouldn’t get any new members? Hosono : The main members are retiring, and one by one corporate members are gradually withdrawing as well. The number of government members is declining as well. If things continue, we will get to the point where it would even be dubious as to whether there would still be a manufacturing industry in Japan. In addition, in terms of the structure of academic associations, I personally keep saying that it would be enough to have only a single materials-related academic association. Unless we factorize and integrate the fragmented materials-related scientific theories, I don’t think we’ll be able to take the next step with an old-style scientific academy. This problem will be upon us in around 15 years. Furthermore, the publishing world is also dismal, with only a few Japanese journals that have an impact factor of more than 3. Japan is one of the least developed nations in terms of publishing. 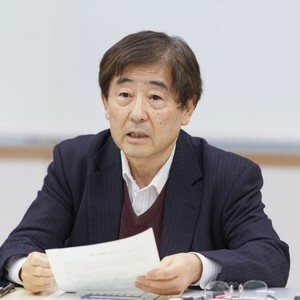 Kawai : Soon I’m going to be part of the Chemical Society of Japan, and we’re facing a serious problem in terms of declining membership — a loss of 500 members each year. The breakdown shows that almost all of the departing members are individual company employees. Academic associations used to be supported by individual company employees, but they’re leaving. Hosono : On top of that, there are no members from other countries in Japanese academic associations. At least half of the members of academic associations in the United States are from other countries. 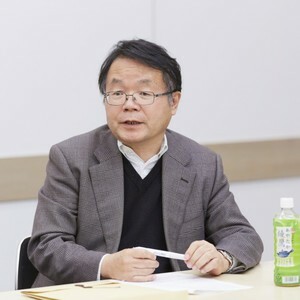 Professor Fukuyama is one of the members of The Element Strategy Initiative’s Element Strategy Initiative Integrated Administration Council. Prior to involvement in the Element Strategy Initiative, Prof. Hayashi worked with a magnet manufacturer to jointly develop a high-temperature hydrogen atmosphere furnace for the development of neodymium- and dysprosium-free magnet materials, using material structure analysis equipment at the J-PARC Materials and Life Science Experimental Facility (MLF). The Institute for Materials Research participates in research at the Elements Strategy Initiative Center for Magnetic Materials (ESICMM) as part of the Element Strategy Initiative. 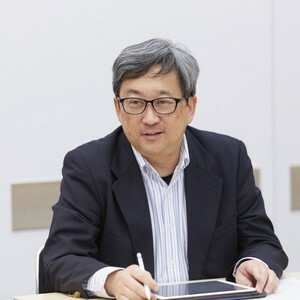 Director, Tokodai Institute for Elements Strategy: Prof. Hosono serves as director of the Center for New Functional and Electronic Materials in which electronics plays the major role. 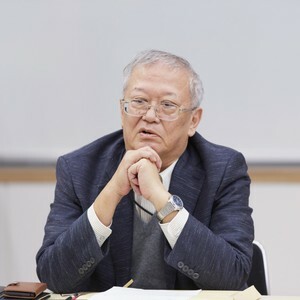 Prof. Takao has been assisting for more than 10 years in the management of work to find new approaches in materials science and materials-based industries. Prof. Amemiya works on the development of X-ray measurement technologies to enable radiation research facilities to achieve their maximum potential, and also helps to strengthen collaboration with users. In the Element Strategy Initiative, the Institute for Molecular Science shares the work of the Center for Elements Strategy Initiative for Catalysts and Batteries. Fellow of Toyota Central R&D Labs., Inc. (TCRDL), Analysis Division, President of the Society of Muon and Meson Science of Japan. As a president, Dr. Sugiyama is pleased that the J-PARC Muon Science Facility (MUSE) is proving to be of use in the Element Strategy Initiative. 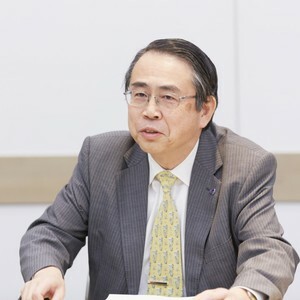 In the Element Strategy Initiative, Mr. Setoyama expresses views from an industry perspective regarding what will be needed by the world and Japan in the 21st century in the area of catalysts and batteries. The discussion at this roundtable discussion confirmed that the Element Strategy Initiative: To Form Core Research Centers has created scientific platforms for improving material properties through the linkage of synthesis, measurement and analysis based on physics, chemistry and materials science, and by means of industry-government-academic collaboration. We also discussed the need going forward for a phase in which these new scientific findings are used as a foundation for creating new materials, as well as for the establishment of a firm position for further pursuit of scientific knowledges. Moreover, to promote the continuation of the Element Strategy Initiative: To Form Core Research Centers as a national strategy, it will be essential to acquire and use intellectual assets to serve as the core for business, in the same manner as academic papers that explore scientific facts. There was lively discussions on the subject of how to achieve this, to the effect that the academic world will need to take the lead in building a research organization based on industry-government-academic collaboration that works with individual government agencies and the JST, NEDO and other funding agencies. The problem of the decline in the number of company researchers who are active in academic associations, and mechanisms to overcome this were also discussed. Our goal is to use the upcoming Large-scale Research Facility Integration Symposium at the 3rd Element Strategy Initiative: To Form Core Research Centers as an opportunity to communicate our efforts to the world, and to develop the next symposium (the 4th) into an international symposium that attracts many participants from overseas. I hope all of you will attend as well and join in the discussion of how to ensure a bright future for materials science in Japan.